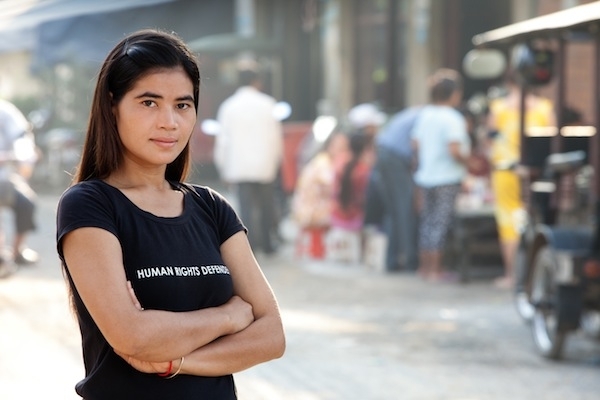 Women are leading the fight for housing and land rights around the world – especially in Cambodia – as they stand up to be involved in decisions which impact their lives and families. Most recently, Vanny was among the Boeung Kak Lake 15 and received politically-motivated charges for supporting her community’s fight to keep their homes and land. As a result of local pressure and international efforts, including an intervention by Secretary Clinton on behalf of the U.S., Vanny and others were released from prison although their convictions remain. Vanny was also recently awarded the top prize for activism at Amnesty International Holland’s Movies That Matter Film Festival last weekend. You can watch a video about Vanny’s life and work and read more about her on the WITNESS blog. Footage from WITNESS partner organization, LICADHO, was featured in a BBC news segment about forced evictions in the country. The segment profiled the Boeung Kak Lake and Borei Keila communities.